Millions of women experience it, but there's not a whole lot of discussion around the issue. Like periods, the realities of childbirth, and similar topics... talking about it seems to be a type of taboo! But with a significant portion of the population experiencing it and living with it everyday, the discussion needs to be opened up. We need to talk about it. You may deal with this issue yourself, and maybe you haven't felt comfortable discussing it---even with your doctor. But if this is something you live with everyday, know that you are not alone. The astounding reality is that one in every four women experience stress urinary incontinence (SUI). Especially after having children, or with age, millions of women experience urine leaks from things as simple and basic as laughing, coughing, sneezing, jumping, dancing, or exercising. Some women experience only a few drops of leakage, while others experience... well, a little more than a few drops. Either way, it's embarrassing, as well as limiting. It's a horrible flashback to the days where you were a teenager and learning to live with your menstrual cycle, awkwardly trying to turn down your friend's invitation to the community pool without telling them it was your "time of the month." 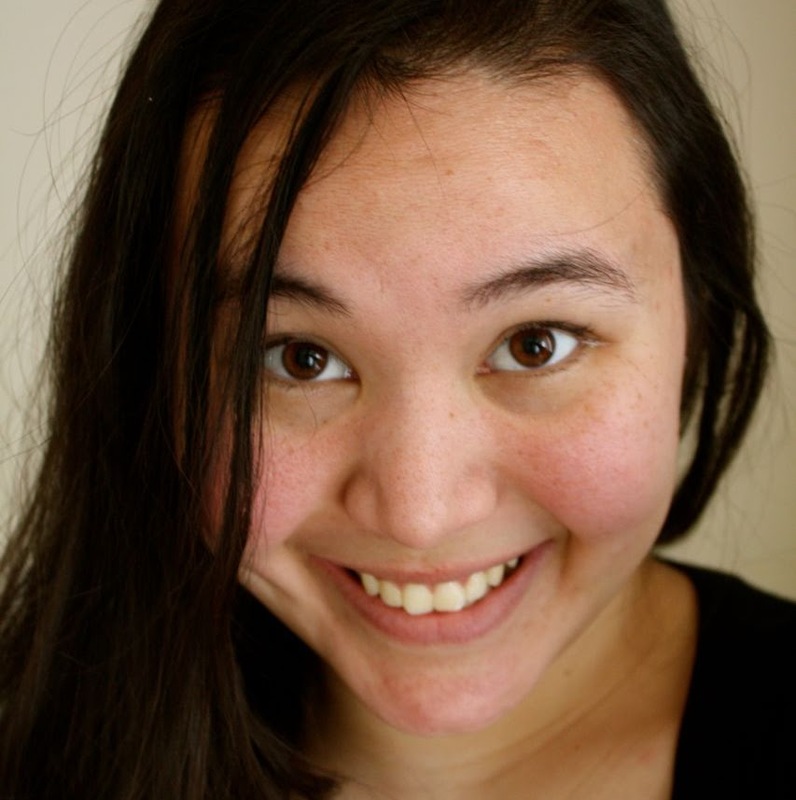 Not yet comfortable with your ability to handle your period confidently and without issue. Only, urinary incontinence doesn't really have a management solution which would allow you the freedom to do as you choose without limits. Until now. Poise Impressa is the new, revolutionary management solution for stress urinary incontinence. 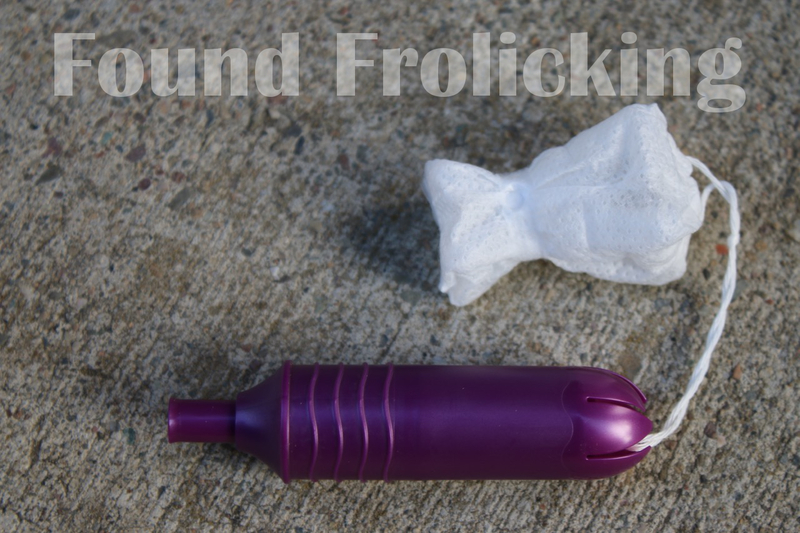 It looks like a tampon, but don't be fooled! The applicator is shaped and inserted just as you would use a tampon, but the Poise Impressa is designed to support your bladder, and does not absorb. 9 out of 10 women said their bladder leakage was reduced or stopped. Available in 3 sizes to provide the amount of support you need, this innovative product may be just the trick you need to live life without limits again! Many women who experience SUI opt to use pantyliners or menstrual pads to prevent embarrassing leakage, but Poise Impressa offers a more discreet, convenient, and functional alternative. You probably find yourself avoiding participating in certain activities you used to love as a way to avoid run-ins with leaks. 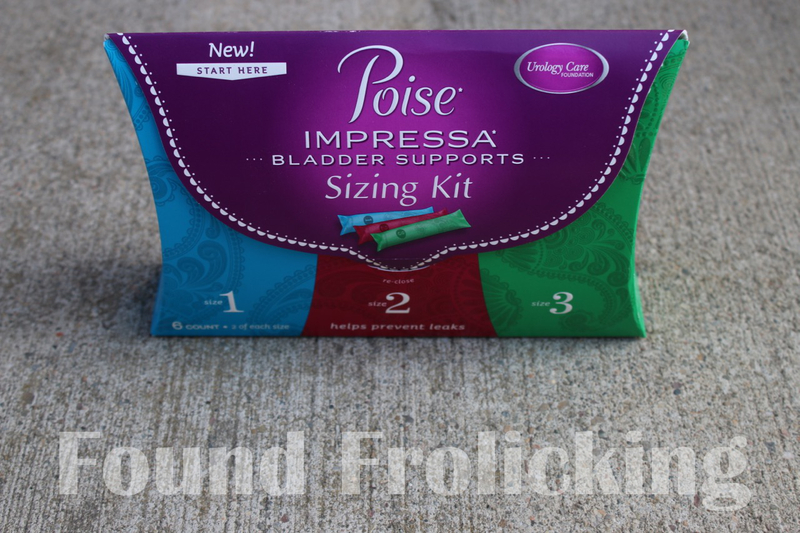 While completely understandable, having to live in fear or restrict yourself and how you live your life due to bladder leakage isn't necessary anymore, thanks to Poise Impressa! Workout out at the gym, jogging, running, athletic sports, jumping on a trampoline... Whatever it is that you were holding back from doing before is possible to challenge, tackle, and enjoy due to the bladder support offered by Poise Impressa. Hormonal changes or changes to your muscles are two common occurrences that can lead to bladder leaks. Sometimes temporary, but often requiring you to accommodate the changes permanently. After having my son, the physical stress it put on my body and the crazy surge of hormones resulted in some embarrassing leaks for me. 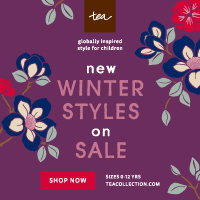 Inconveniently, having my son at the end of August meant that I was dealing with this just as cooler weather was starting to settle in, and I had this unpleasant issue to deal with during the fall and winter when I got a cold, followed by a flu a few months later. Just the slightest sneeze would trigger a leak. It was downright frustrating to deal with on top of already not feeling my best. Yuck! 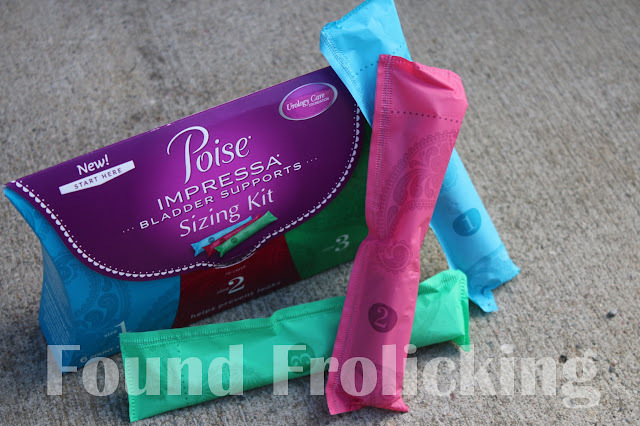 Hearing about Poise Impressa, the advantages of this game-changing product struck me immediately. Although I was extremely fortunate that the SUI that I was experiencing resolved itself, I wished that I had had Poise Impressa to turn to when I could have really used it at that time. With the arrival of baby #2 expected any time now, I feel more confident about entering the postpartum stage knowing I have a great management solution should I be facing bladder leakage again down the road! 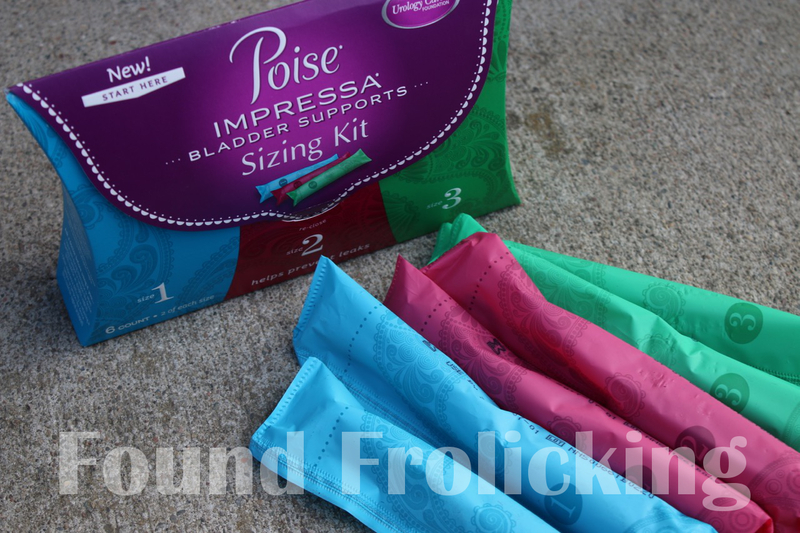 The Poise Impressa Bladder Supports Sizing Kit as you will find it in a store near you! A look at what comes in the package of the Poise Impressa sizing kit. Instructions for use and two bladder supports in each size are conveniently provided. You start with the Size 1 bladder support and move up to the next size if not getting the support you need. 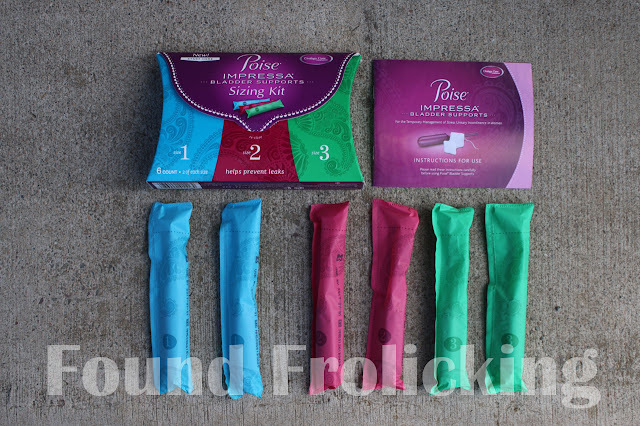 The Poise Impressa bladder support applicator is comfortable and easy to use! A look at the Poise Impressa applicator as it is being inserted. The Poise Impressa bladder support blossoms out and has a gentle structure to offer the needed support for your bladder. Look for the Poise Impressa sizing kit and line of products at an online retailer or store near you! I am so very freaking happy this came out! I am using my sizing kit now and loving it so far! It is about time and GO Poise for bringing us this innovation! Yay! I was a bit confused at first, it's my first time hearing a product like this. It could be a huge help, for all the women out there. Thank God this came out! I think these will make many women happy. I know this can be a problem. This is so helpful that it provides support to help the issue. I think they've come out with a really neat thing here! 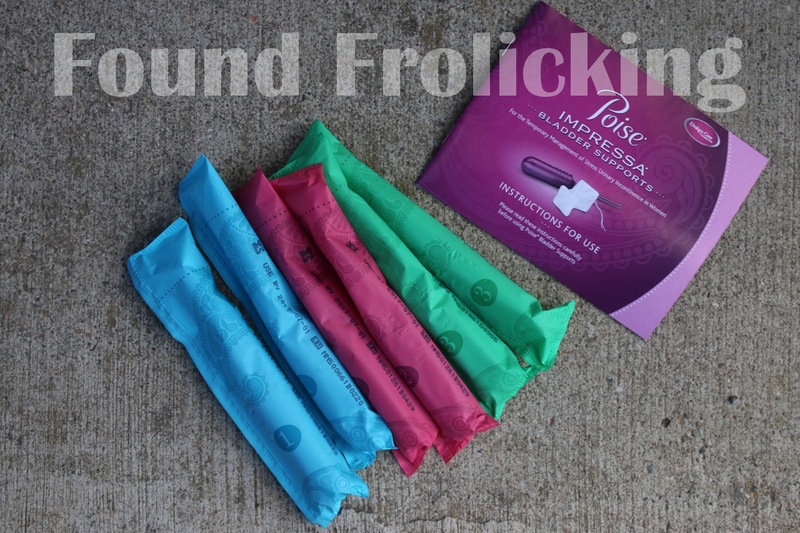 Poise has developed a great way to help a huge part of the population return to a leak free life. I'm glad they are working toward these kinds of alternatives! This is so great for those with leakage. I haven't used tampons in years. But glad there's something helpful for the urinary incontinence. Never heard that before! Interesting product. These do look very similar to tampons. I am just curious how well they work though. If they do work, this could help tons of women. I've never tried this, I wish this could offered too in my country. I wanna know more about this. My mom had the leakage, as they say, what a great product! I'm not there, yet. Any day now, I'm sure!